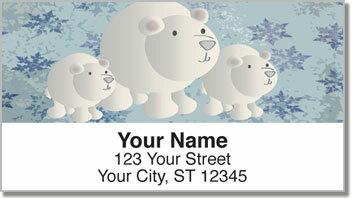 The cute characters featured on these unique return address labels from CheckAdvantage will put a smile on the face of everyone you mail. 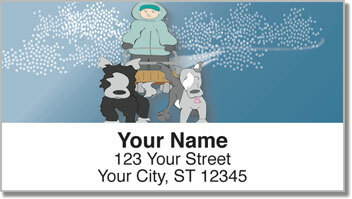 It's a little look at life up north...way up north...where igloos and polar bears and sled-dogs are a way of life. This is a delightful finishing touch with a wonderful wintry feel. 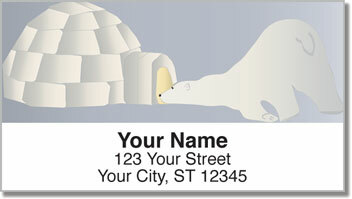 Stick these self-adhesive labels on all your outgoing mail for a simple solution to the tiresome task of preparing outgoing mail. All you have to do is peel and place. 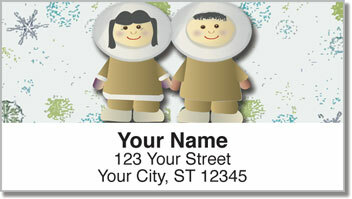 Order your very own Eskimo Address Labels today! Get them with a set of matching personal checks.